I started making these personalised baby blankets when my first son was born. It was admired so much, I started to make them for all my friends babies. They were admired so much I decided to make the letters tartan and add them to my range. They are admired that much, they have become a best seller. 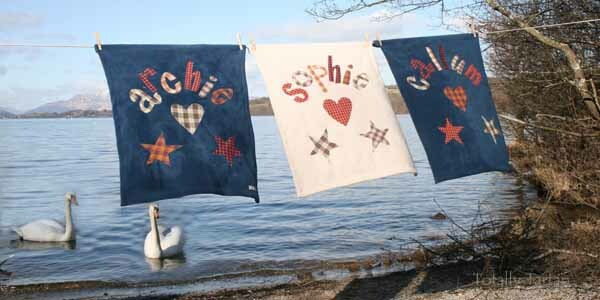 These personalised baby blankets are the ideal practical, personal gift with a touch of tartan to keep it Scottish. Made from an extremely soft deep pile fleece with appliquéd brushed cotton tartan letters, this personalised baby blanket is the ideal unique Scottish baby gift. These are hand made to order so please allow about a week to 10 days for delivery.